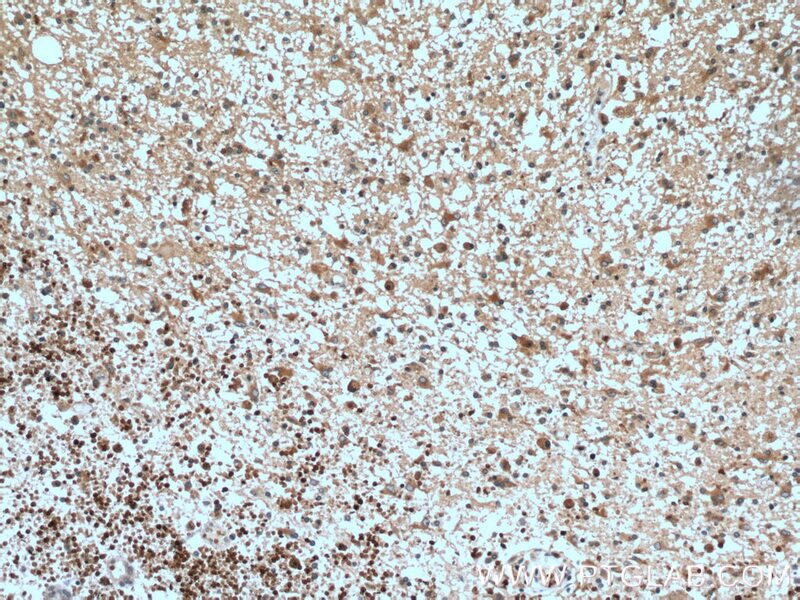 Immunohistochemical analysis of paraffin-embedded human gliomas tissue slide using 11947-1-AP( RAB5A Antibody) at dilution of 1:200 (under 10x lens). 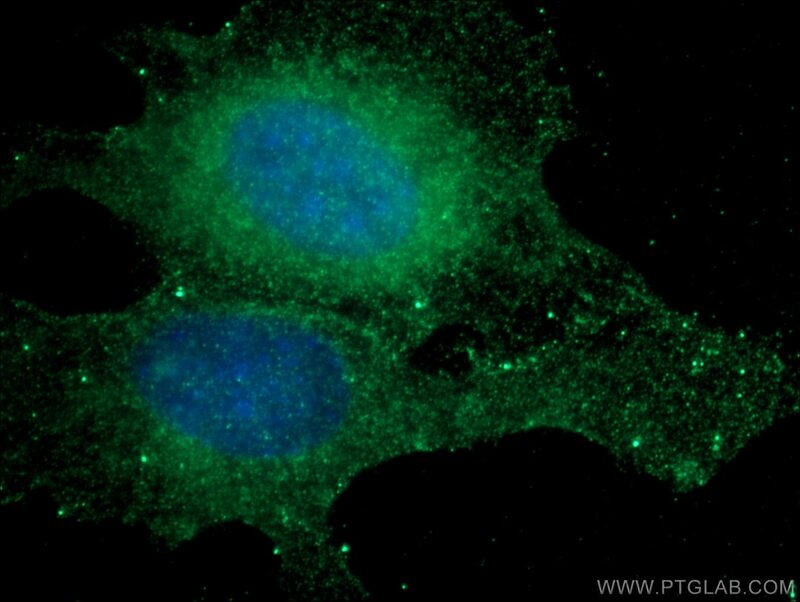 heat mediated antigen retrieved with Tris-EDTA buffer(pH9). 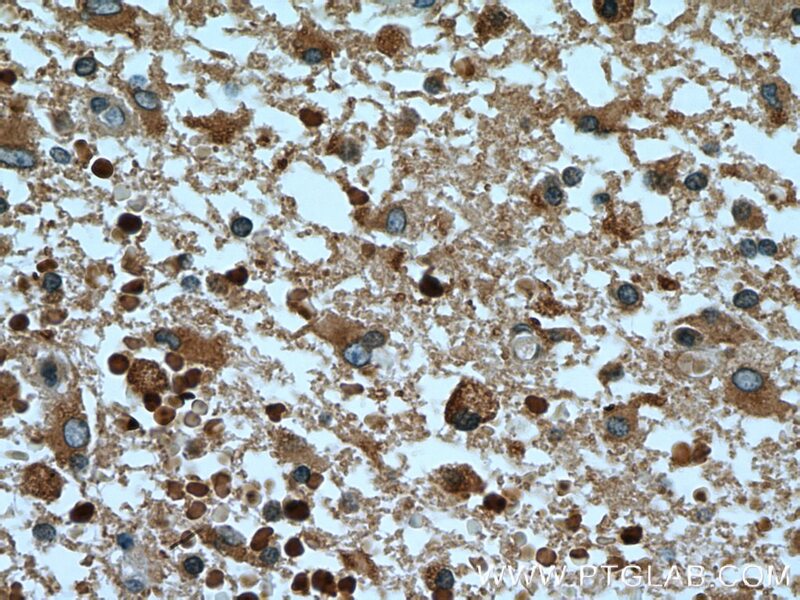 Immunohistochemical analysis of paraffin-embedded human gliomas tissue slide using 11947-1-AP( RAB5A Antibody) at dilution of 1:200 (under 40x lens). heat mediated antigen retrieved with Tris-EDTA buffer(pH9). 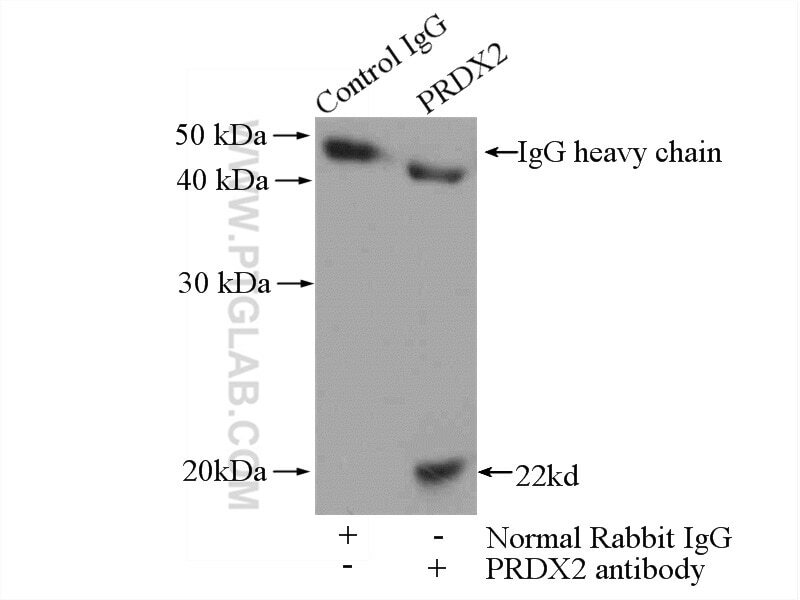 IP Result of anti-RAB5A (IP:11947-1-AP, 4ug; Detection:11947-1-AP 1:500) with mouse brain tissue lysate 4000ug. Expression of Rab5a correlates with tumor progression in pancreatic carcinoma. A crucial role for Arf6 in the response of commissural axons to Slit. 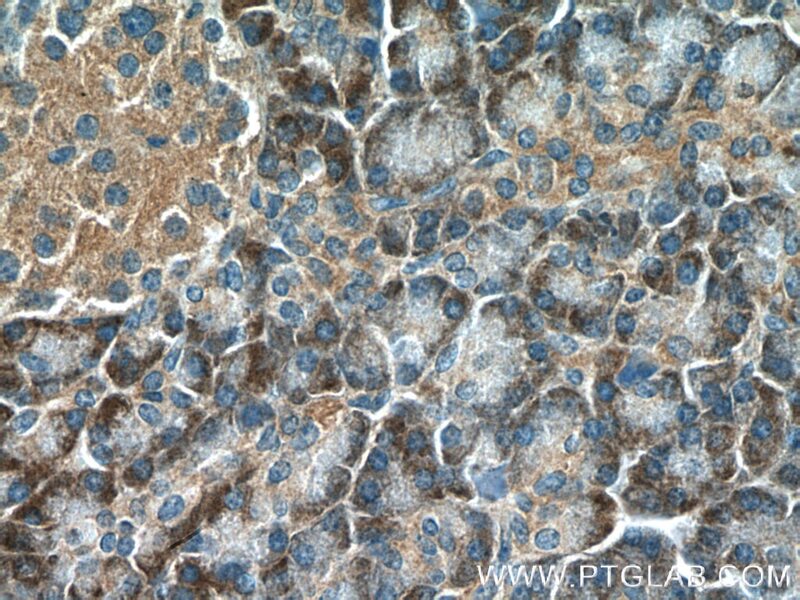 Immunohistochemical analysis of paraffin-embedded human pancreas tissue slide using 11947-1-AP( RAB5A Antibody) at dilution of 1:200 (under 10x lens). 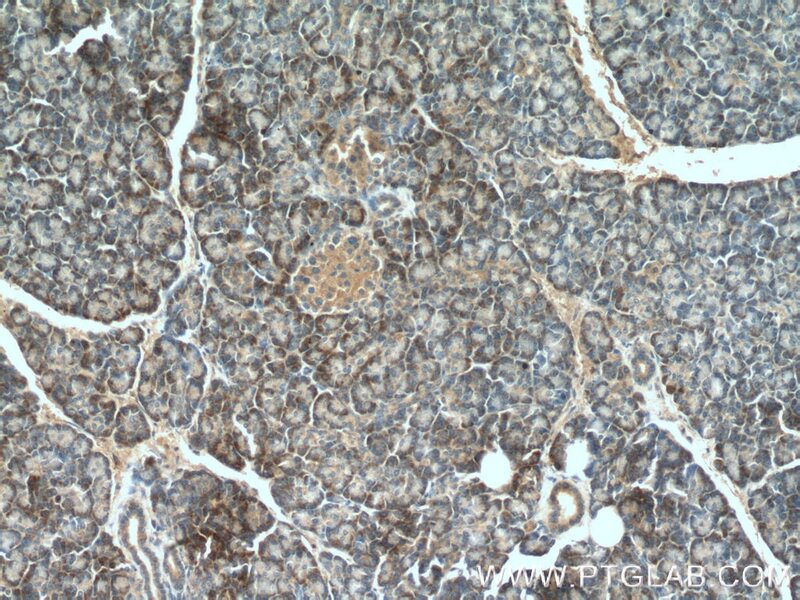 Immunohistochemical analysis of paraffin-embedded human pancreas tissue slide using 11947-1-AP( RAB5A Antibody) at dilution of 1:200 (under 40x lens).